My wife made a number of notebooks to give as gifts for Christmas, and has done so before. They are really nice hand made notebooks, and a key part of the process is to squash the pages nice and flat. Normally she does this with a pile of heavy books. However it gave me the idea to make her something more designed for pressing things. The idea was fairly simple, 2 blocks of wood, with holes drilled in each corner, and through hole a long bolt with a wing nut to allow the blocks to be tightened together. 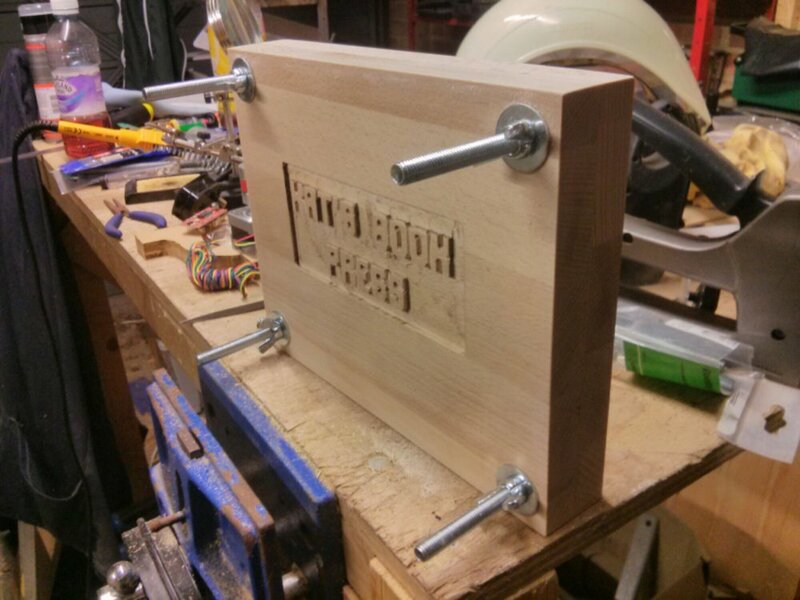 The personalisation touch here was to engrave the words 'Kat's Book Press' on the top surface of the top block. This was of course somewhat inspired by the fact that I've spent much of the year building a CNC router, without which this would have been an extremely time consuming and difficult carving exercise. To make the model I setup openSCAD to be able to render fonts, then rendered the words and set them into a a recess in a block. It was a fairly simple piece of cad in the end, though only because there were good instruction on setting up openSCAD to render text. For the machining I had it run in two passes, one with a 1mm material allowance, then a second tighter pass. This worked pretty well despite being limited to quite a large 6mm bit. 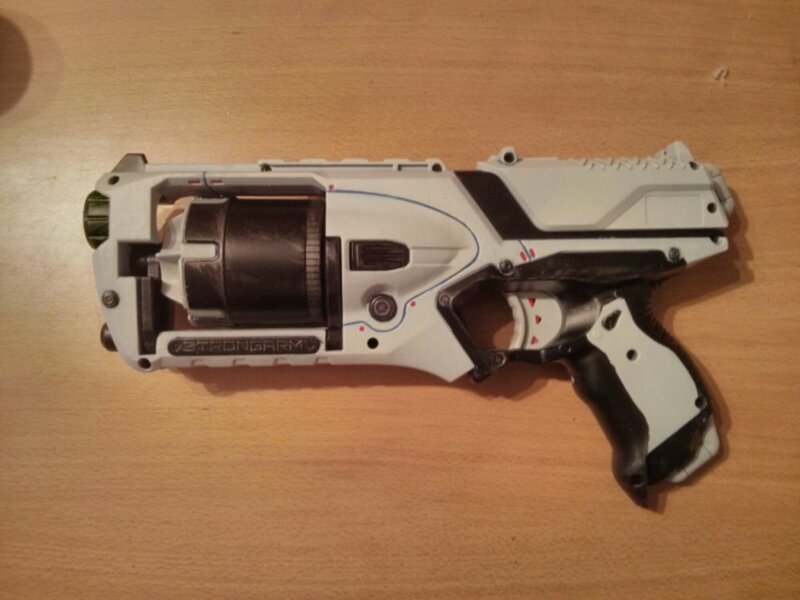 Project 2 : Custom painted Nerf Gun During this year I have customised a couple of Nerf guns for myself, at one point it became a bit of an addiction... 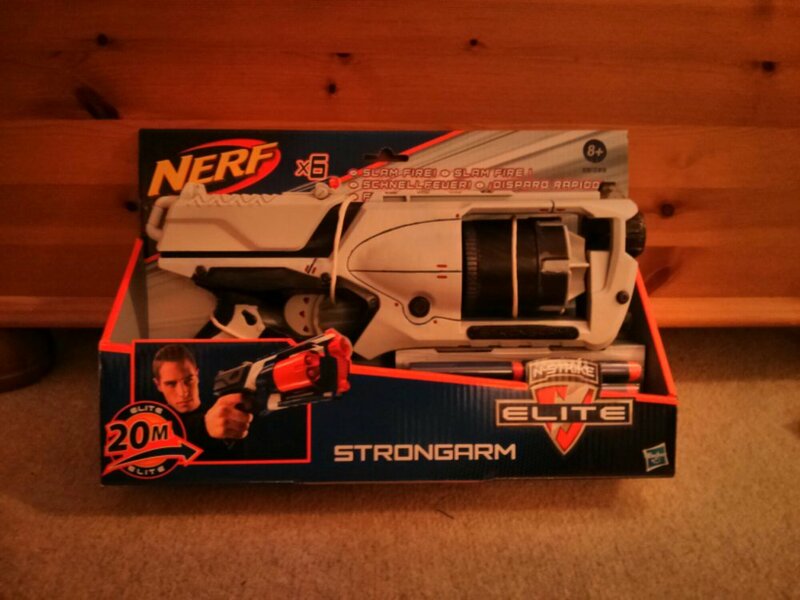 So when thinking of what secret Santa present to come up with for one of my brothers, a Nerf gun seemed the obvious choice. I picked the strongarm as it is very popular among the guys at work. I didn't do any of the normal firing mods, like removing air restrictors etc. I just focused on the paint job. In this case I decided to go predominantly white, with some details picked out in blue and red. It was the same basic process as the others I'd done. Disassemble, sand off the logos/warning labels, lightly sand everything, spray with a vinyl undercoat, then a few coats of chosen colours using masking tape to block off different areas. Then a pass with the detail colours, and some dry brushed silver for a slightly worn and aged effect. Lastly a clear crystal coat to protect the paint and make it something that can be used. I think both presents where appreciated by their respective recipients, and I hope they get some enjoyment from their use. I didn't actually intend to make any gifts this year since it takes so much time. However once I'd had the ideas, I couldn't help myself. In the end I enjoy making something a little more unique, if I had the time I'd try to do more gifts this way.